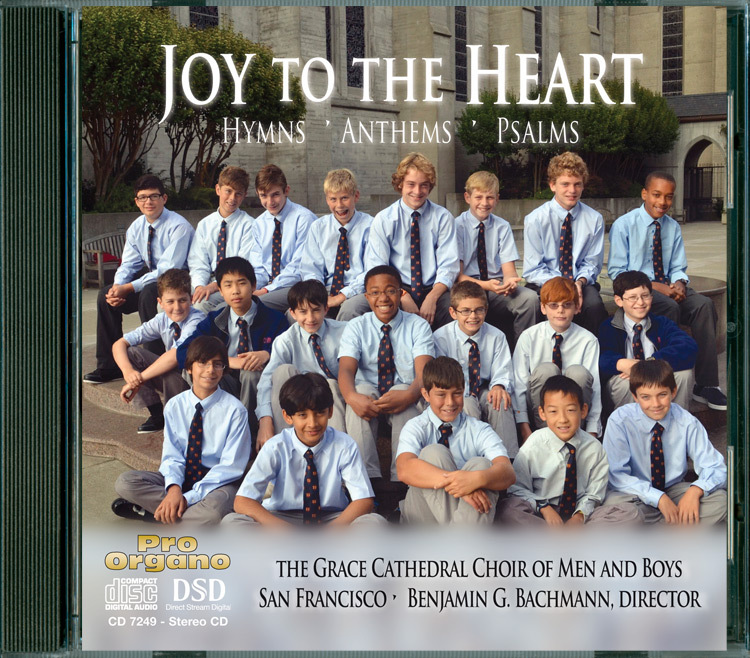 The Choir of Men and Boys of Grace Cathedral, San Francisco, under the direction of Dr. Jeffrey Smith, sing music for th Advent and Christmas seasons. Several tracks from this album are available here as instant MP3 downloads. 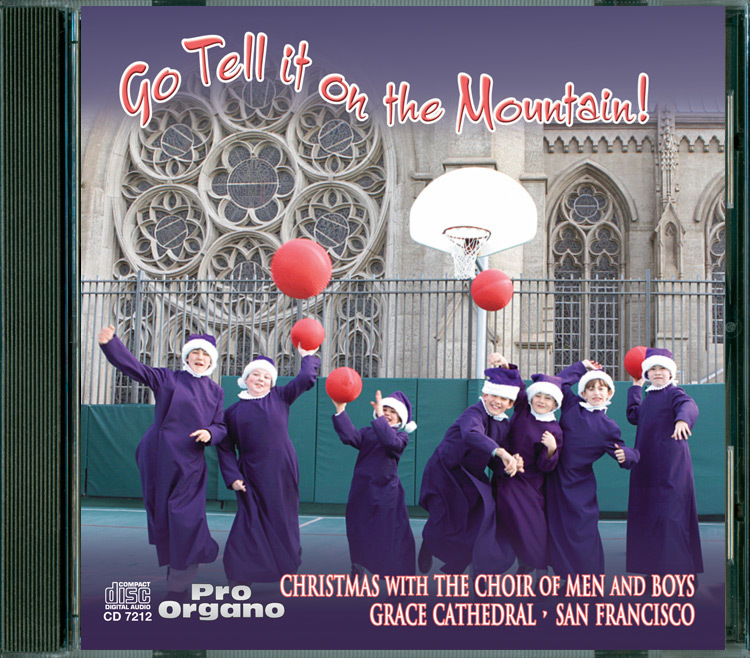 To place an individual MP3 track from this album in your shopping cart, just click on the red price tab that appears with the CD track number / title in the track listing below. CD is sold out. Download only. 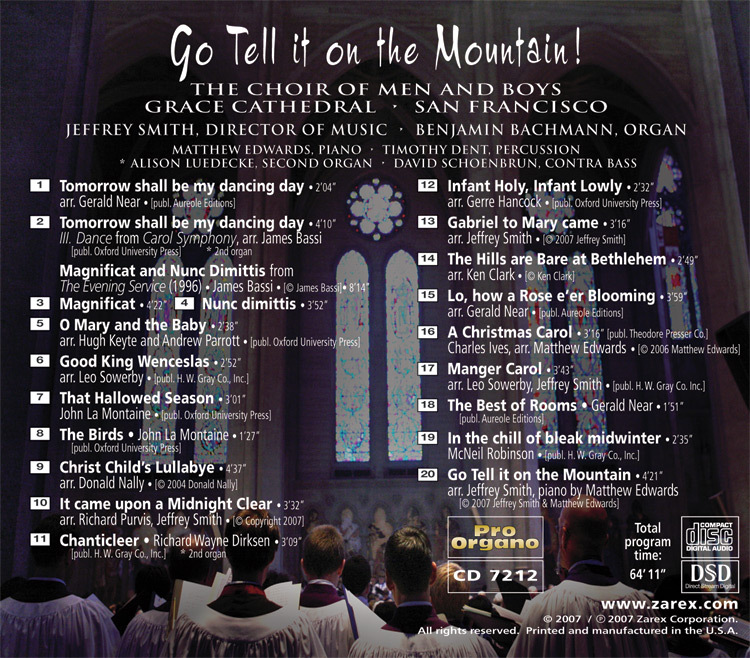 Some of the selections on this delightful program are notable for sparkling, if tricky rhythms, including the Dance: Tomorrow Shall Be my dancing Day from the Carol Symphony of James Bassi and his ambitious Evening Canticles, not to mention Jeffrey’s “All riffed-up and swingin'” version of Go Tell It on the Mountain with piano realization by Matthew Edwards (“Not suitable for church,” as Jeffrey notes). A parish that is prepared for slightly less “swingin'” jazz would probably love “O Mary and the Baby” by Hugh Keyte and Andrew Parrott. In contrast, That Hallowed Season and The Birds by John LaMontaine may be familiar to some readers, but are worth noting for a pleasant stylistic departure from the excessive sweetness of some Christmas music – not easy, but worth the rehearsal effort. 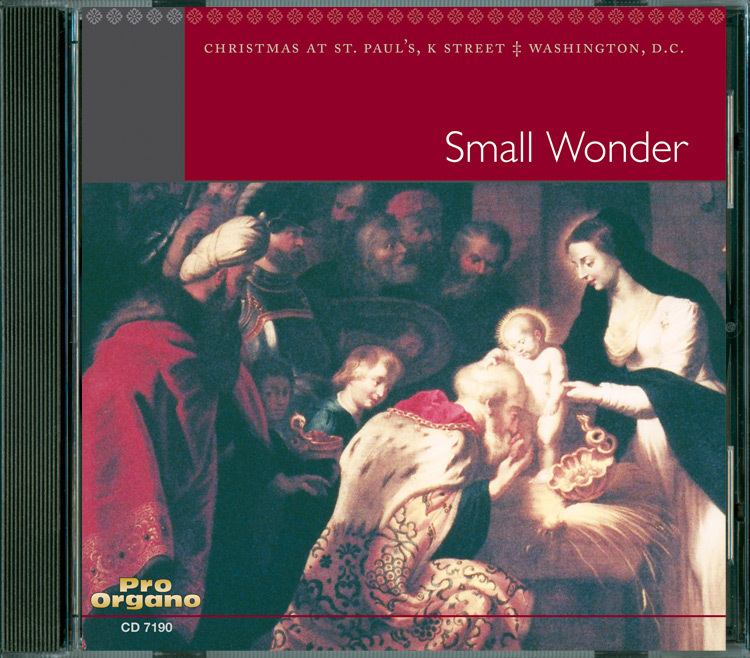 Donald Nally’s Christ Child’s Lullabye sets a Scottish original in evocative style. 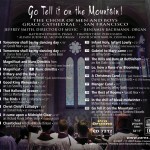 A familiar Early American tune appears in an arrangement for men’s voices with the text The Hills Are Bare at Bethlehem. Other composers have set Robert Herrick’s fine text The Best of Rooms, but perhaps none so compellingly as Gerald Near, heard on this program. Richard Wayne Dirksen’s energetic Chanticleer and some other recent original work and arrangements on this disc have become modern classics, but still sound fresh. 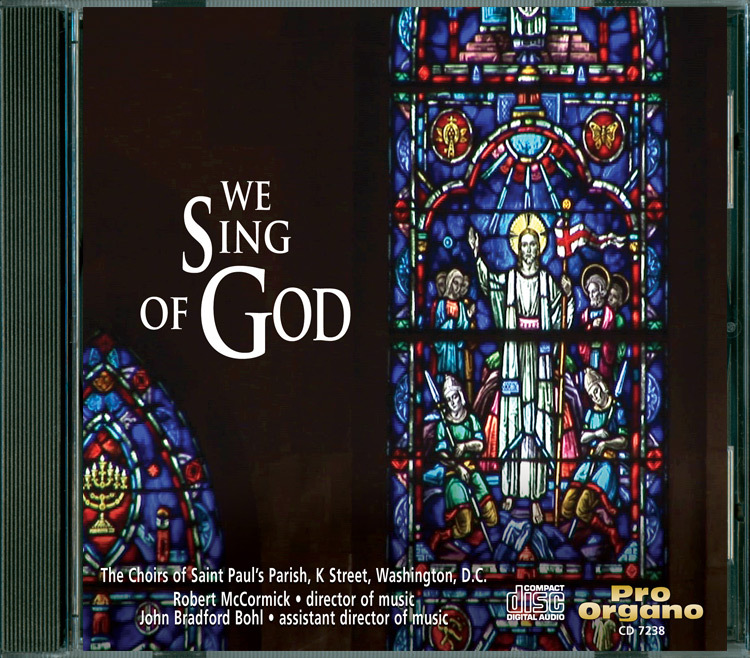 The choral sound on this recording is likewise fresh, beautifully produced, wisely phrased, and always idiomatic. Victor Hill – The Journal of the Anglican Association of Musicians (April 2008).